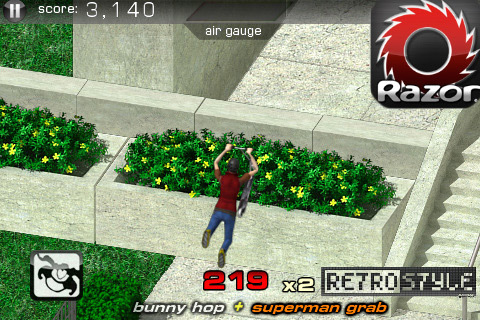 It was a pleasure to take part in creation of that game. 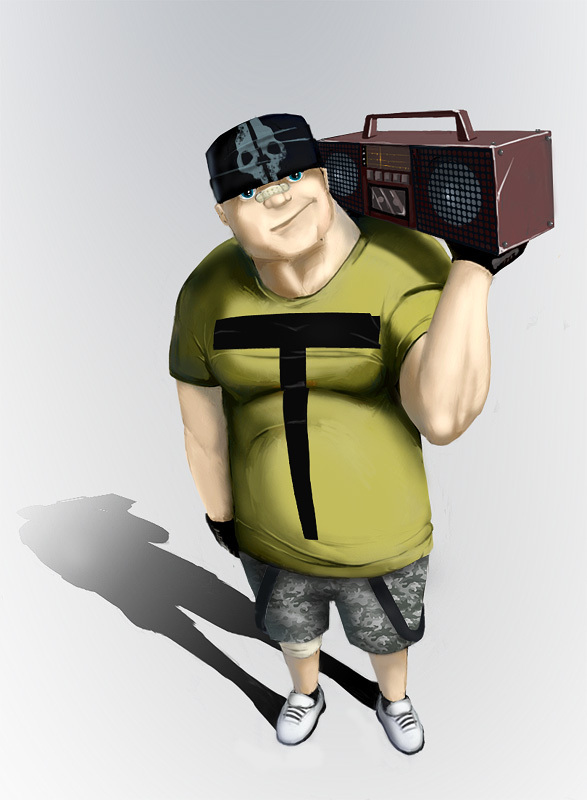 We were asked to create pre-rendered game sprites: 3 Main characters, Scooters, various Environment Props and some misc elements. In final we have created more than 150 pre-rendered sprite sequences and around 16 unique animations. 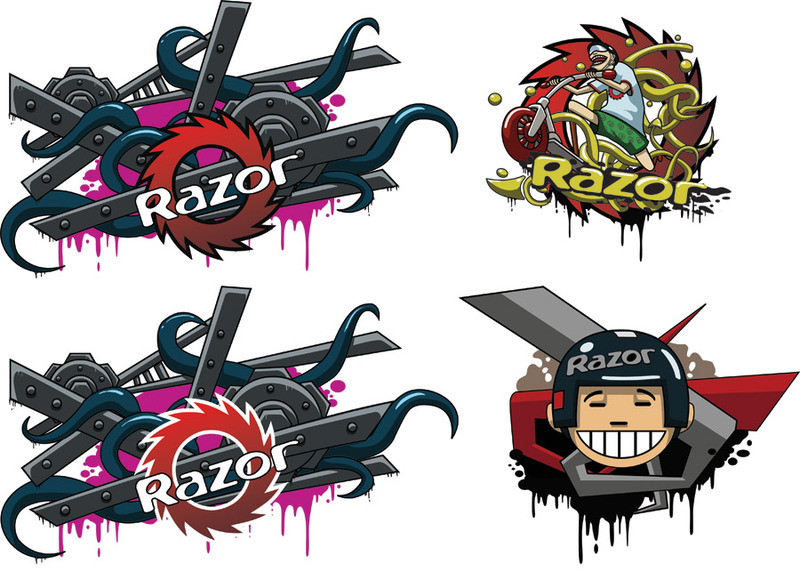 3 characters were chosen from over 20 variants by Razor’s producer. 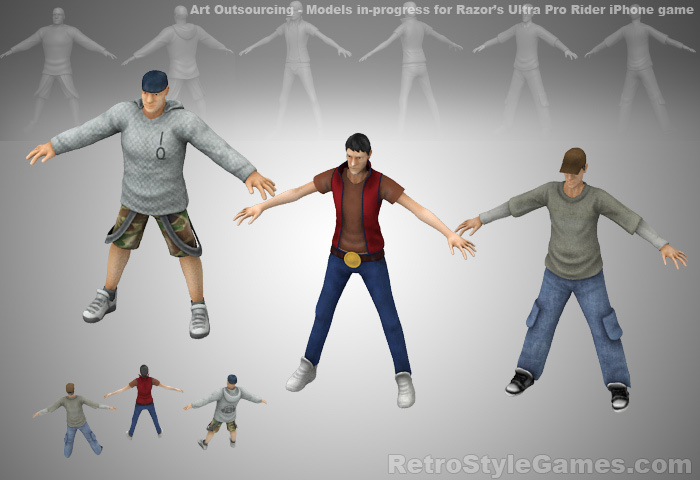 To handle big amount of pre-rendered sprites that were sharing same 3D rig and animations we have built pretty interesting and effective work-flow It allowed to save a lot of time and costs using animation re-projection and clever layer management. 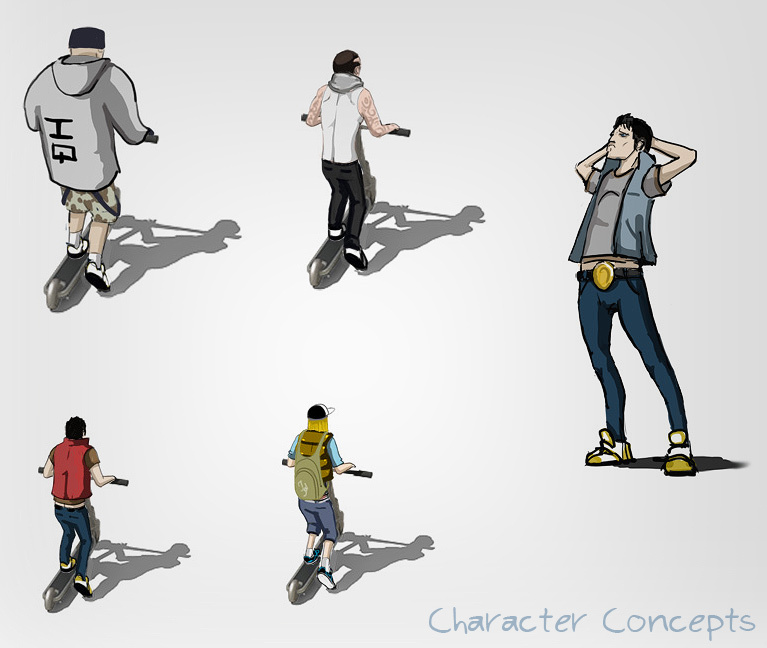 This way it was possible to re-use animation of one scooter rider on second character with minimal polishing. 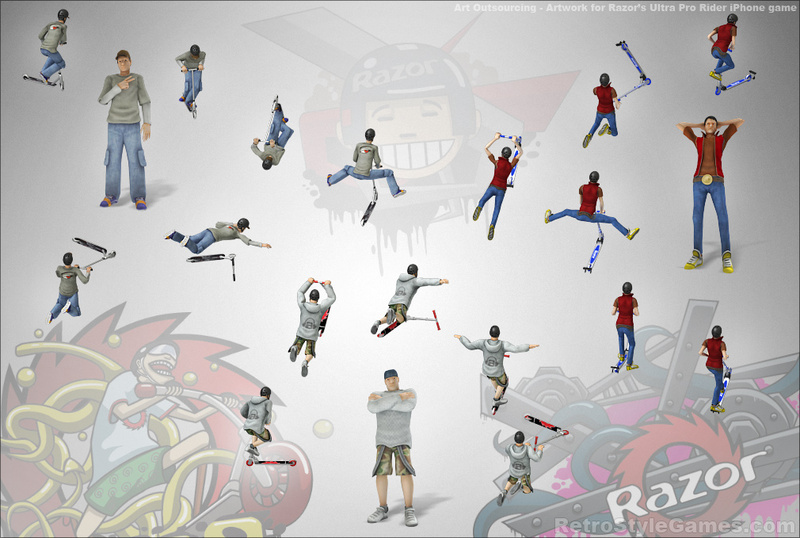 As we mentioned it before, in final there was around 16 approved animations multiplied by 3 characters and 3 different scooters.